Fill all field to retrieve your booking to manage. 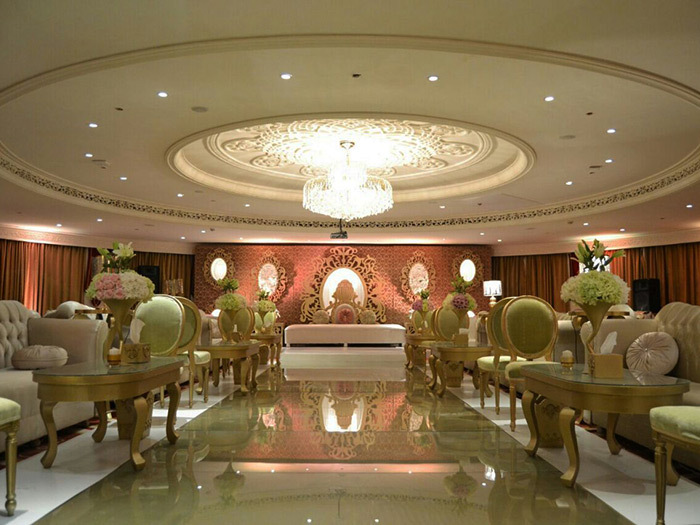 Classic themes and Arabian tradition meet at Al Mashreq. Its luxurious guest rooms and suites feature captivating Andalusia themes, with an array of food and beverage options from across the globe. The hotel stands apart as the finest and as the first Luxury Boutique Hotel in Riyadh and for its highly individualistic architecture and its commitment to offering the highest service standards. As part of the portfolio of Tatweer Holding, the hotel has set its own unique niche with its inimitable design and superior location. On behalf of the team, I would like to take this opportunity to thank you for choosing our award-winning hotel as your home during your upcoming stay in Riyadh. Pets are not permitted in the hotel premises. Our stanning Mahreq Spa is locatet on the B floor. Free basement parking for in-house guests and guests visiting the hotel. Ideal during summer as the car will be parked in cool environment. Hotel has a special room which has necessary facilities to accommodate disabled guests. 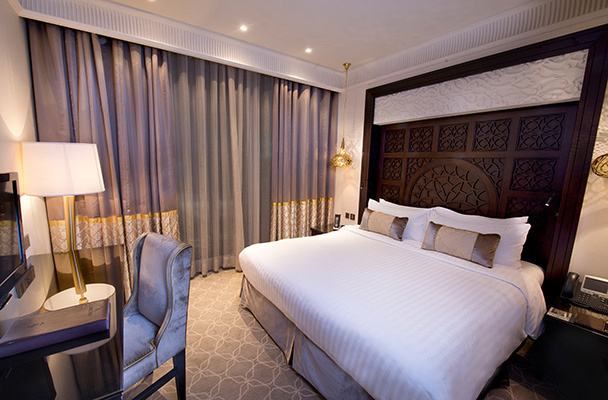 Al Mashreq Boutique Hotel features 69 cozy rooms and suites with rich décor and interior; a showcase of Arabian taste with state of art technology. 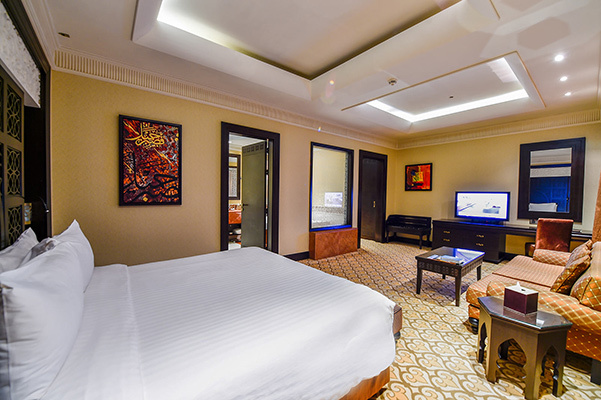 The Hotel offers a complimentary wireless Internet connection, Mini-Bar and snacks, Tea and Coffee facility, and access to Business center and Mashreq Spa. 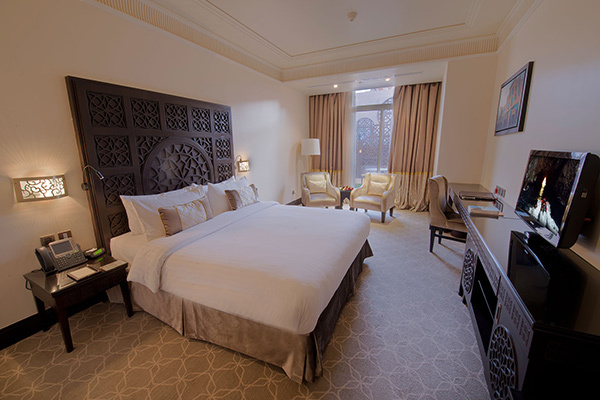 Our Deluxe Rooms reflect warmth and heritage in their Arabian décor. Some of the rooms has its own outdoor balconies. Our Premier room give an all-new perspective on this vibrant district. Watch the world go by, recline in a relaxing bath or plan your day’s activities from the spacious workstation. 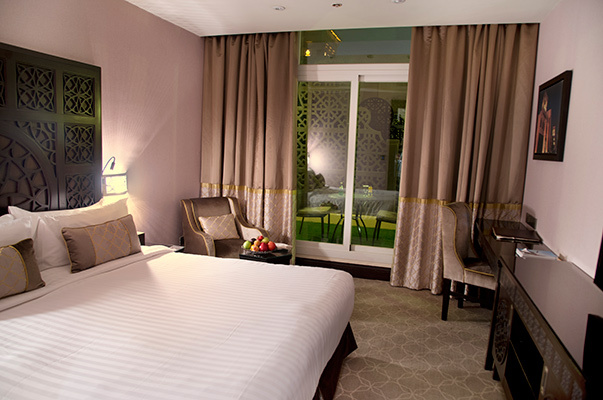 The Executive room feature Arabian decor and an ambiance that conveys warmth, heritage and luxury. Every room delivers the highest quality of furnishing and design finishes in an elegantly styled setting. The Junior Suites are generously proportioned, revealing refinement, comfort and Arabian mystique. The interiors feature an eclectic collection of rare and original artifacts from Morocco, Lebanon and Egypt. The Royal Suites embody a distinctive ‘art de vivre’ and a grandeur that befits royalty, and stays true to the hotel’s Arabian heritage. With their rich colors , regional textures, and iconic furniture, the interiors are like a vision from the enchanting ‘1001 Nights’ tales. Special niches have been carved out to create a tasteful setting that’s separate from the bedroom. Against a backdrop of regal arches and wooden trellises, luxurious drapery and flamboyant accessories, feast on Arabic and Oriental dishes from live cooking stations and a sumptuous buffet offering breakfast , lunch and dinner. Ewaan is open from 6am to 12 midnight. 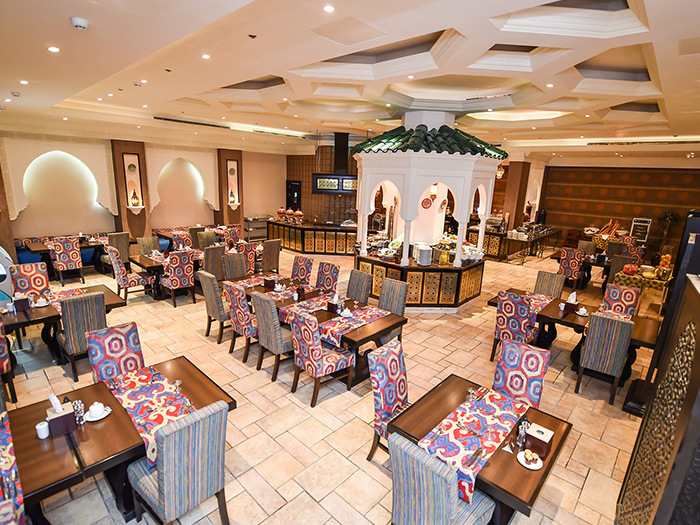 Tea Lounge offers indulgence in a truly palatial Arabian atmosphere with a view on the gardens of the Home Offices complex. It’s a place for the elite striving a smoking free atmosphere yet with a personalized boutique service. 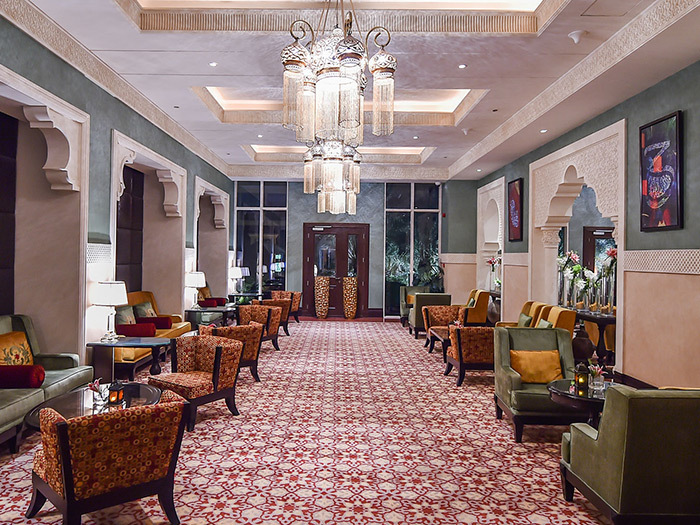 Sophisticated lobby lounge, featuring a selection of gourmet sandwiches, scones, savories and handpicked signature blends. 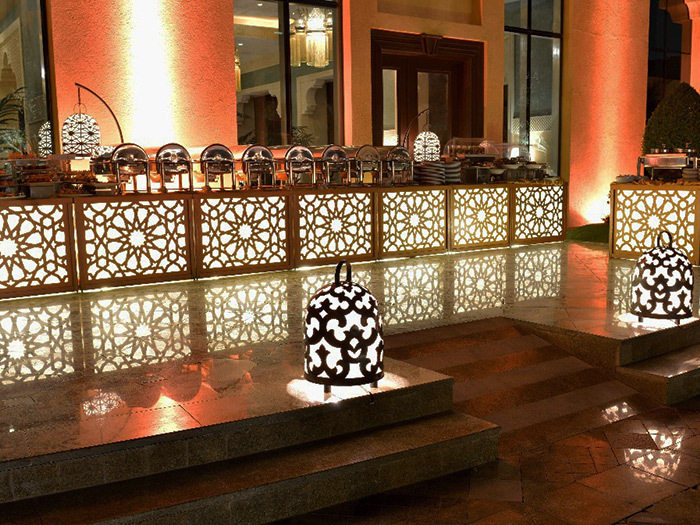 Exclusive tea and coffee served in hand made oriental glass in a truly Arabian atmosphere with panoramic views. 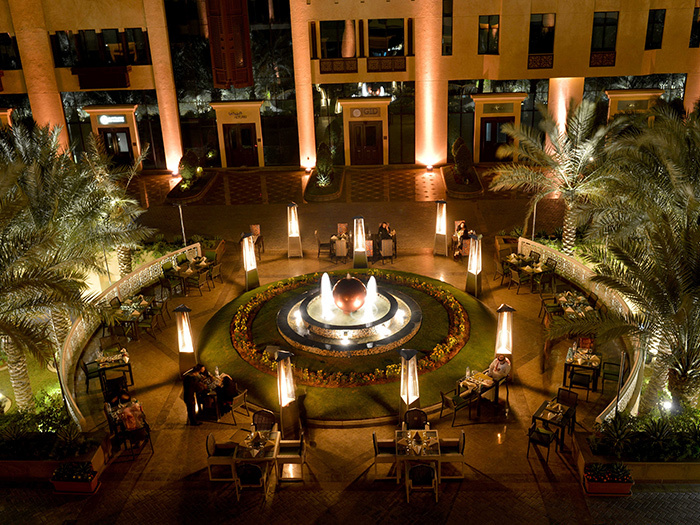 Encountered with Palm Trees, Water fountains and traditional Arabian arches, Al Mashrabiya offers an exclusive and unique outdoor set up in the gardens of Home Offices complex featuring Mediterranean cuisine. It’s the best gateway for guests seeking a calm yet lively atmosphere under the sky. For a better service, a minimum charge of 150 SAR per person will apply for non-resident guests. Lebanon is one of the most beautiful countries in the Middle East and its cuisine is the stuff of legends. 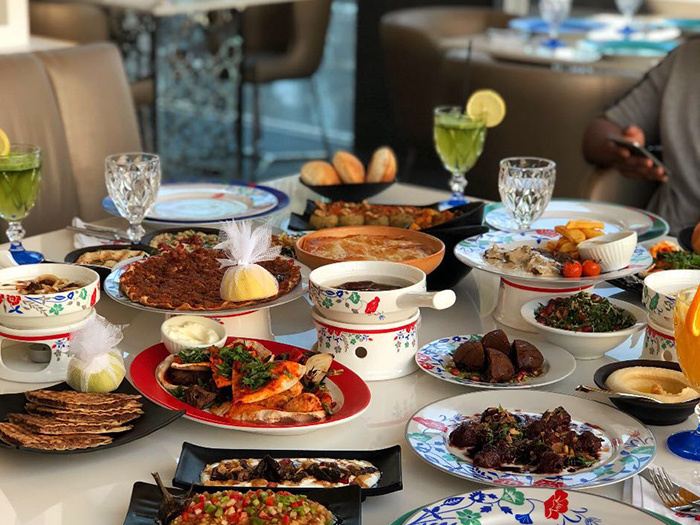 Experience a modern take of famous Lebanese Mezze, Chef d’oeuvre barbecue and oriental dishes and stylish sweet options skillfully prepared with fresh ingredients by our Lebanese cooks, this is an appetizing journey filled with culture and taste discoveries. Mashreq Spa offers a luxurious sanctuary of relaxation and rejuvenation. Come experience signature therapies and techniques that are infused with Western expertise and Eastern wisdom to blissful effect. Our experienced professionals and exclusive therapies will leave your body and mind feeling wonderfully invigorated. By offering Oriental treatment in an inimitable Moroccan Hammam, Massage room with private shower, bubble bath, steam room, sauna and impressive indoor pool. Try our authentic Hammam experience with a blend of organic essence and oil refreshing your body and soul. Our stylish fitness center with its view over the gardens available for our in-house guests and selected members, not only gives you the freedom to explore the Spa facilities but also gives you the chance to indulge more. State of Art technology machines with built in TVs along with a dedicated and professional trainers are there to keep you in shape. Al Mashreq Offers exceptional venues for business functions, weddings and gala banquets, exclusive VIP events and every kind of occasion imaginable. Discreet and stylish design, cutting-edge technology and remarkable views. The perfect venues to seal the deal. This natural daylighted and unique Ballroom is the ideal place for your special events and conference with its round shape, fabulous garden view with an access to it. Al Hamra is linked to the Hotel and has its own entrance to avoid congestion and to add more privacy for your event. 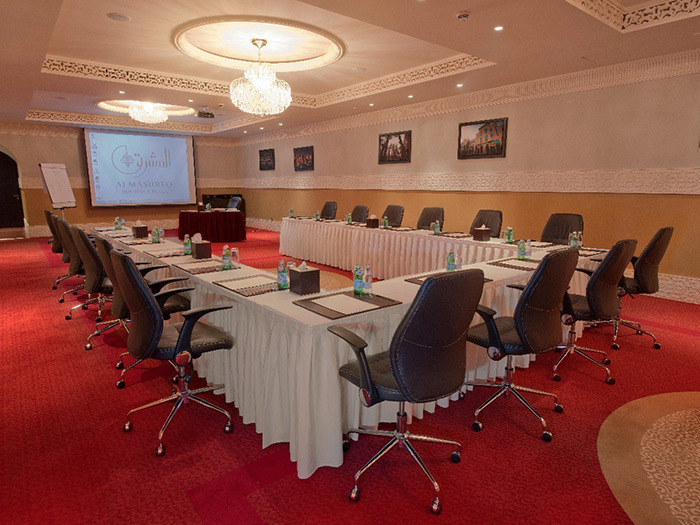 With its Islamic interior design, this meeting room allows you to accomplish your meeting in a calm atmosphere. Those meeting rooms are designed to meet the requirements of small to medium-size events with natural daylight and equipped with latest Audiovisual equipment. Those meeting rooms are designed to meet the requirements of small events with natural daylight and equipped with latest Audiovisual equipment. We can offer Al Mashrabiya restaurant at the Hotel garden for the VIP private events especially at night under the stars light for an unforgettable experience.